Over the past couple weeks, I’ve noticed some great tiny house blog posts. 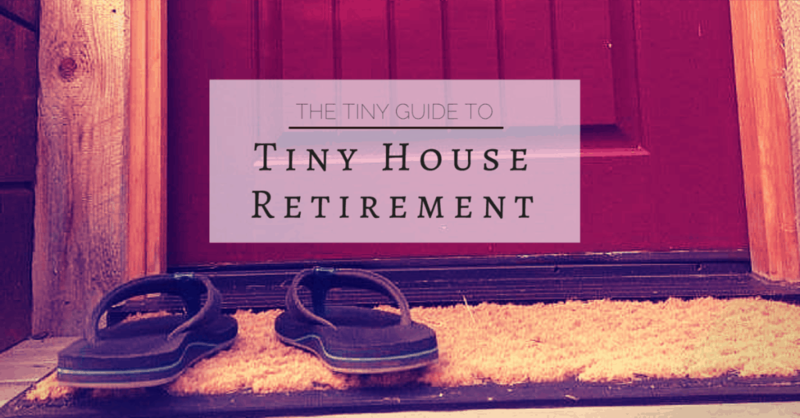 These resources all address some of the most common questions about going tiny. I shared some of these on Facebook, but they’re so good that I wanted to share them again. Below you’ll find info on entering into a more minimalist lifestyle, on tiny house retirement, ladders/stairs, tools and tips, plus tiny living myths debunked. Enjoy! CustomMade is know for their great infographics, and this one continues that trend. It’s always helpful to have reminders about how much happiness we can bring into our lives by learning to live with less! In today’s world, the average individual is likely to have more stuff than at any previous time in history. It can be difficult, in a society focused on conspicuous consumption, to follow the siren song of simplicity. But a growing movement known as minimalism shows us that living well with less isn’t just possible—it can be highly rewarding. “Are you sure the minimalism movement is for you, or are you still on the fence? It doesn’t matter—you can always benefit from simplifying your life. It doesn’t have to be complicated (in fact, uncomplicated is the whole idea). And it doesn’t have to end with you living like a hermit. All it takes are a few small actions to lighten your load, free up your time, and save you a bit of money. This great guide by Ethan of TheTinyHouse.net explores the things one must consider if planning on living in a tiny house as a retirement strategy. Houses built for seniors are much different than those designed for those in their 20’s or 30’s! I’ve been noticing recently that a lot of the people who email me about tiny house living are actually planning to move into tiny houses when they retire. “Some of them are hoping they can cut living costs by going tiny. Others want to move away from the city and settle down in the countryside. Some plan to travel or visit family. And others see retirement as the ideal time to change their lifestyles and achieve a higher quality of life. Ladders are great space-savers that can help you get the most out of the small footprint of your tiny house. But many people don’t want to climb a ladder multiple times a day. Fortunately there are several other option. This blog post by Ethan of TheTinyHouse.net gives examples of the many different approaches you can take to eliminate the ladder! I receive a lot of questions from people who don’t want to use a ladder in their tiny house. For some people, in particular older people and those with limited mobility, using a ladder would be impossible. “For others, it’s simply a case of preference. If you’re going to put time and money into building your own home, you want it to be as close to perfect as possible. If you’re not comfortable climbing ladders, you’re not going to enjoy living in your tiny house, and the whole experience will be a waste of time. I love it when people come out and really tell it like it is! Tiny Notes From Home did just that with an honest response to some oft-perpetuated myths about the what it means to live the tiny life. There are many mysteries about Tiny House Dwelling – where do you put all your stuff, do you have a real toilet, how about laundry, and where do the kids sleep? These are all legitimate questions. The answers are not as complicated as they might seem, so we will take some of the “myths” associated with Tiny House Dwelling and bring them into the light. 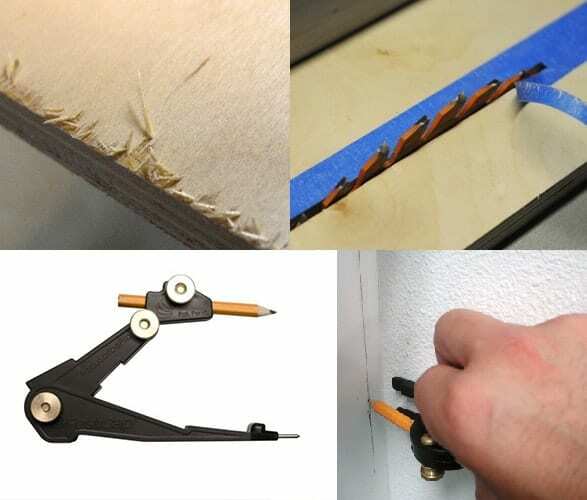 It’s always great to see some building tips learned through real experience. Sharing the “things I wish I knew” with others is so important to help make future tiny house builds that much more successful! Thanks Ryan from The Tiny Life for these great tips to make your interior finish work look like a million bucks! ← “Small is Beautiful” movie download Giveaway! I started living in an Airstream RV 1980, Back then I didn’t know about tiny homes, this rv still serves me very well. I still live wherever I want after all that is the magic of smaller living!